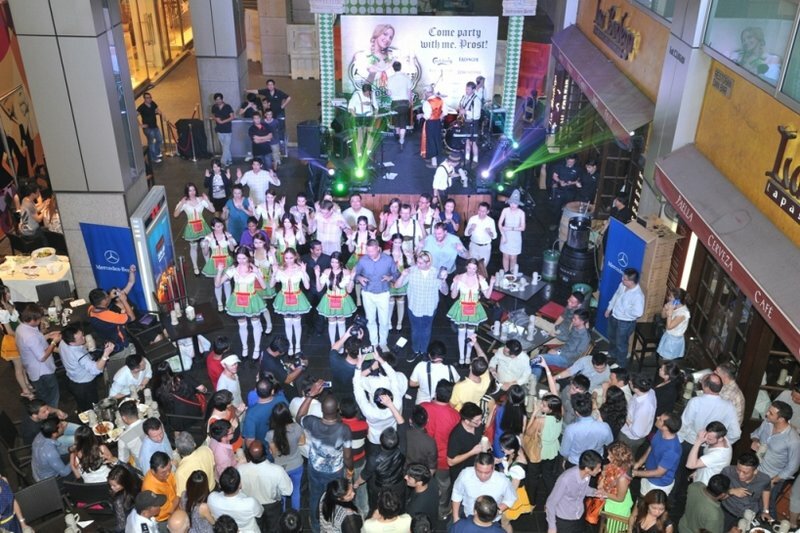 Carlsberg Malaysia launched this year’s Oktoberfest, the world renowned annual Bavarian festival, all the way from Germany to our neighbourhood bars throughout the big cities and small towns in Malaysia, with an endless flow of beer and fun. 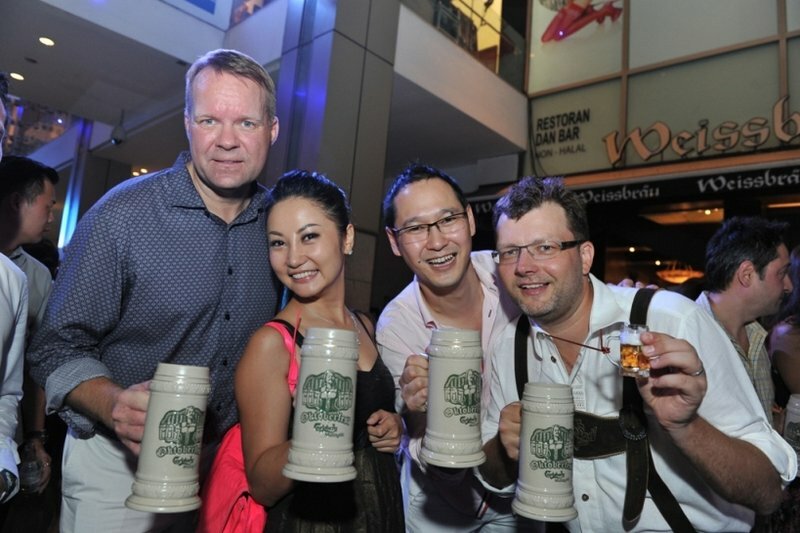 Known as the country’s most authentic Oktoberfest celebration, Carlsberg Malaysia Oktoberfest 2013 is a beer extravaganza that offers the most loved beer brand, Carlsberg, as well as three imported Bavarian beer brands, Erdinger, Franziskaner and Lowenbrau, served in a collectible rugged-style stein that customers can take home and add to their collection of the past two years of Carlsberg Malaysia’s Oktoberfest mugs. 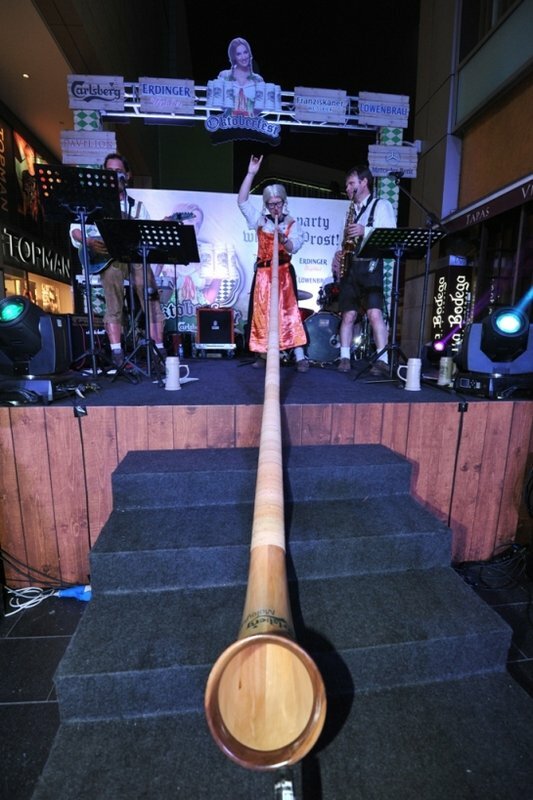 Flown in from Germany, a six person Oktoberfest Oom-Pa-Pah band will be belting out traditional Oktoberfest jingles and sounding a 12-foot long alpine horn from Germany to delight the crowd celebrating the merriness of beer festival. Acclaimed as the first-of-its kind in Malaysia, the long horn has successfully made it into the Malaysian Book of Records as the ‘Longest Carlsberg Malaysia Oktoberfest Longhorn’. Topping the festival off are of course the lovely Carlsberg Dirndl girls, all beautifully decked in traditional Bavarian outfits to perform the witty “chicken dance” along with Oktoberfest revellers. After the first keg was tapped, a resounding toot of the 12-foot long horn reverberated across the entire corridor of Pavillion, KL signalling the lovely Dirndl girls to invite beer lovers to show off their moves by performing ‘chicken dance’ and taking part in a range of fun-filled games including hat switching and arm wrestling which are all traditional mainstays of Oktoberfest events. “In addition, we partnered with our customers to co-host smaller parties at 38 western-concept bars and pubs and will be running the Oktoberfest promotion at over 300 outlets nationwide,” he concluded. This entry was posted in Party and tagged beer, Carlsberg, octoberfest, party by TheGoodGoodGuy. Bookmark the permalink.